What do you think about it? 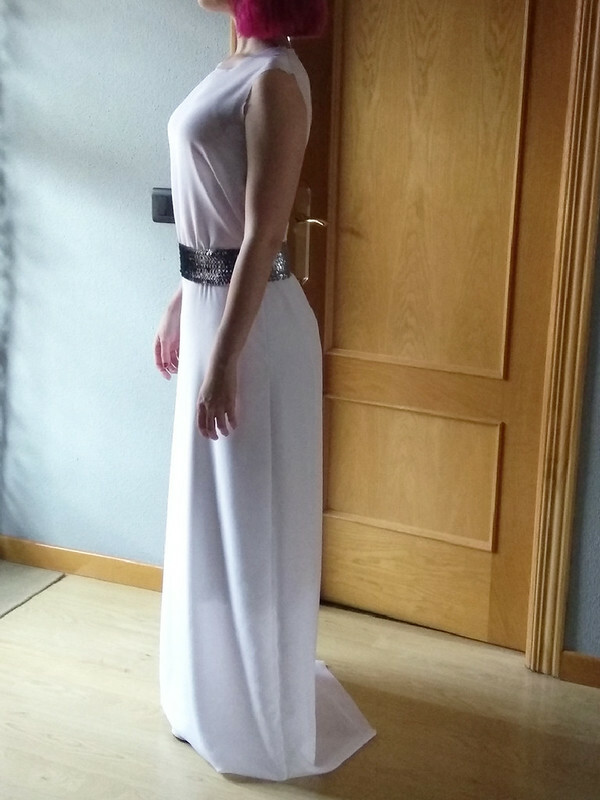 Could it be approved after I finished sewing everything and I put it together with the belt, shoes and hair? After the dress is finished I think I'll start with the belt. I've bought a 0.5mm aluminium sheet that I think will be easy to work with and some silver fake leather. 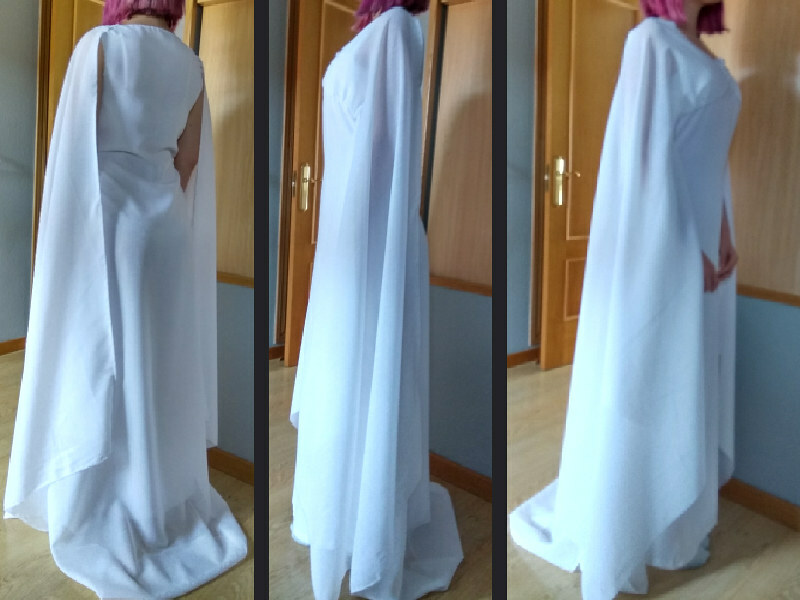 I'm also having trouble finding hair extensions for this costume, cause the ones that I've found are either too short or the shipping to Spain is too high, so if anyone have any advice feel free to let me now, it will help me a lot. Looking good to me so far But I'm no expert in this costume! I've measured myself from the top of my head to my lower back and I'll need around 75cm hair extensions, considering that the hair should be in a braid, probably a bit more (I'm around 1.70m tall), but thank you!. What about temporary hair dyes in spray? Could the facts it's a braid not be helpful by enabling to braid multiple shorter extension together to match the appropriate length ? Anyone ever tried that ? It's a little hard to see the details in the lighting in the photos you provided- also there isnt a straight on front photo of you wearing this? 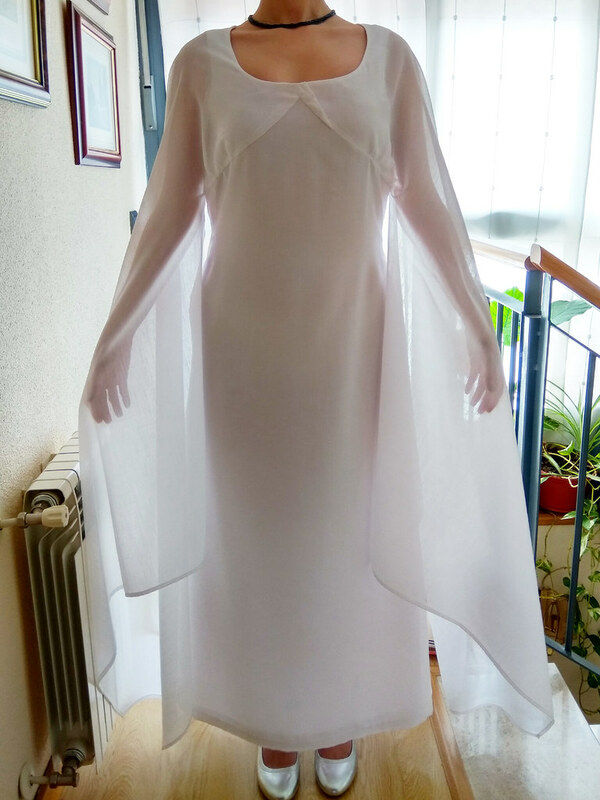 Sorry about the quality, I realized a while after posting them that they were really pixelated, I'll post more pics as soon as I can try it on again with day light, by now I can leave here some pics of the dress with better lighting, in case you can give me a bit of feedback It'll be really appreciated, thank you! And the shoes arrived this morning! Hey! Looks like a good start. 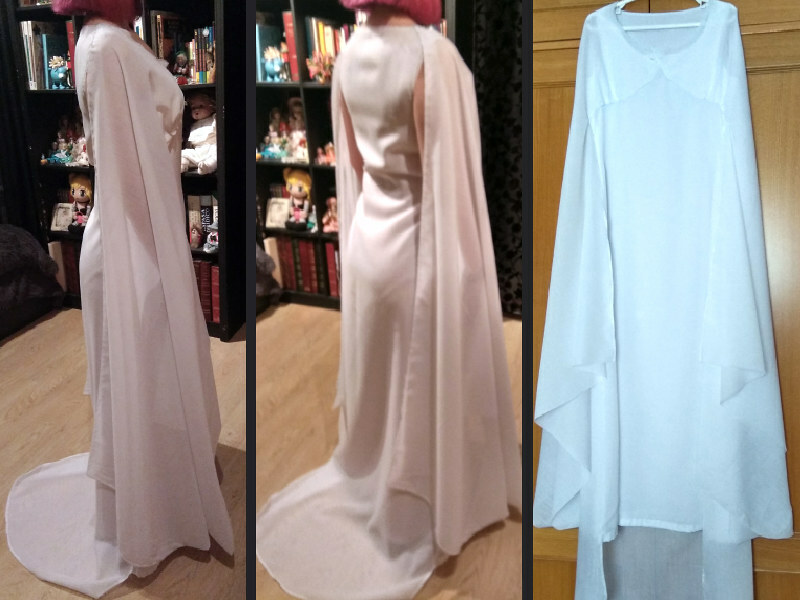 The sleeves look good from the pictures I can see! 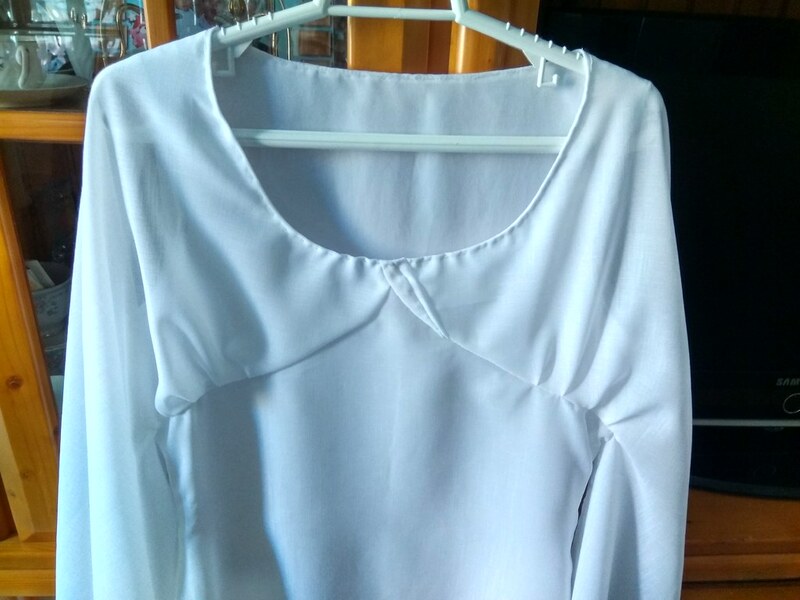 I have some concerns about the neckline, it should not have topstitching and appears very high. Also your inverted "v" point looks to have a curve and should be more of a straight line. 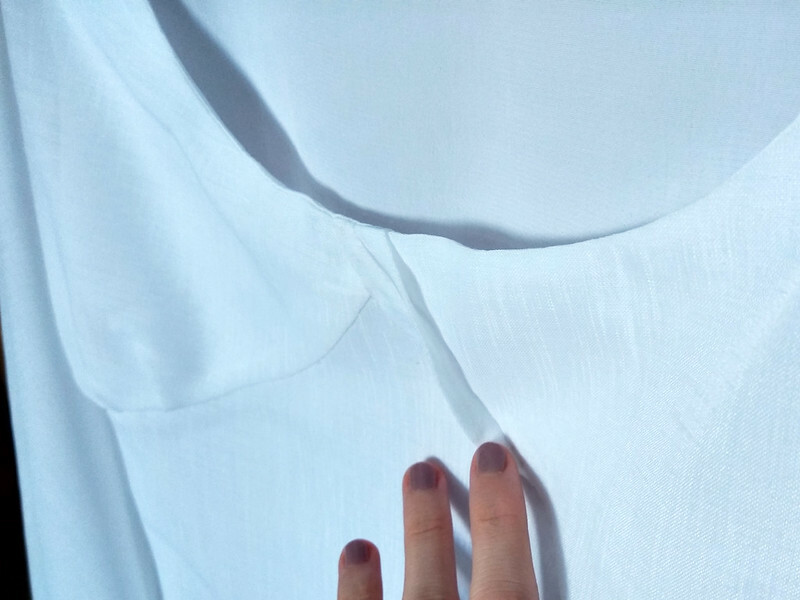 Is there stitching along the fold/pleat along the top part of your dress? Hi! 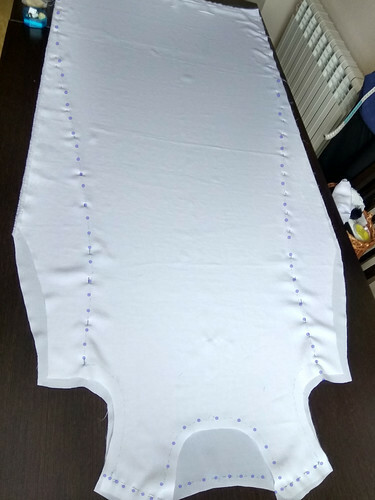 In the picture it has stitching, but it's only there to iron it in place and then it'll be removed, the neck is already sewn in the inside so it won't have any visible stitches. 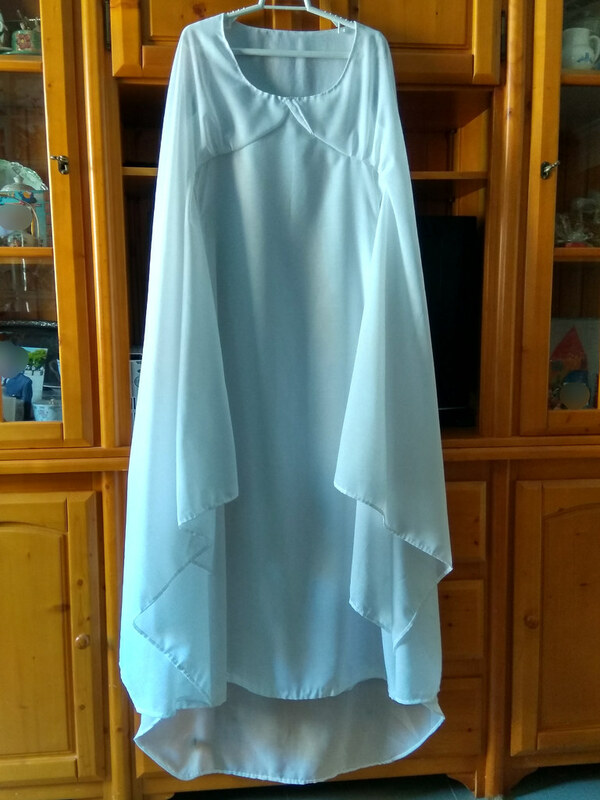 I'll try to lower the neckline a bit without showing anything "unappropriate", but I have quite a high bust so I'm not sure how much fabric I'll be able to cut. 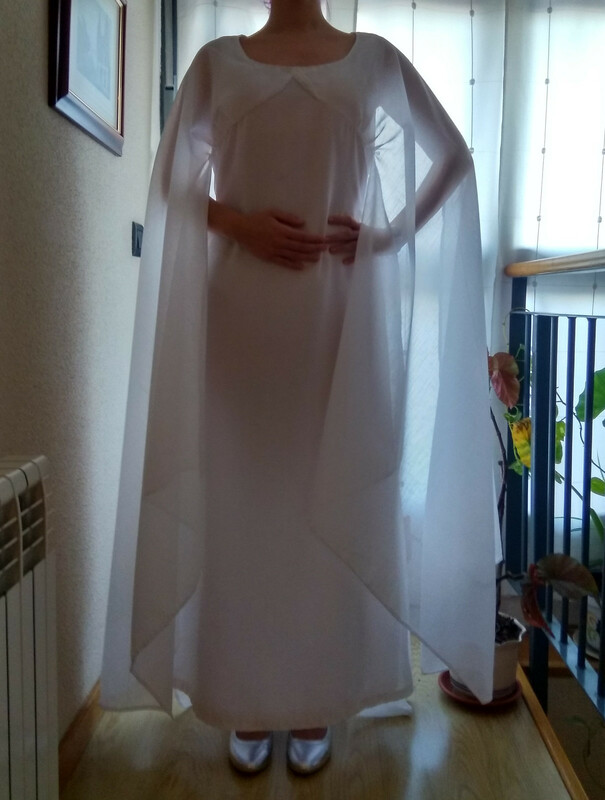 About the V shape, I think I know what you mean, I was seeing something weird too and I wasn't able to figure out what it was, but now I think I see what's wrong with it, specially the left side, it makes a little curve and doesn't follow a straigt line from under the chest. I think I'll be able to fix it. Hi again! I've fixed the weird V point shape and I've lowered the neck line as much as I could. That helped. Getting a straight line on the inverted V does trouble a lot of people. The diagonal tuck still looks like it has a stitching line on it? 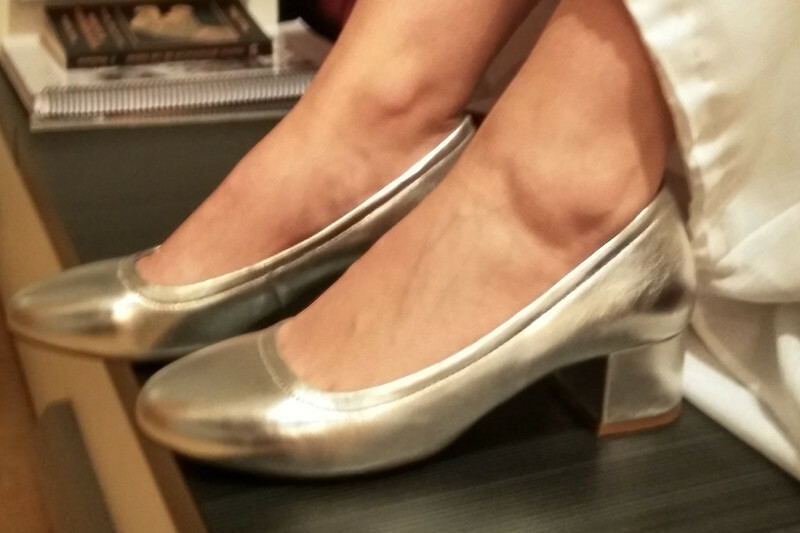 Nice shoes, btw! Those look excellent. Hi again! 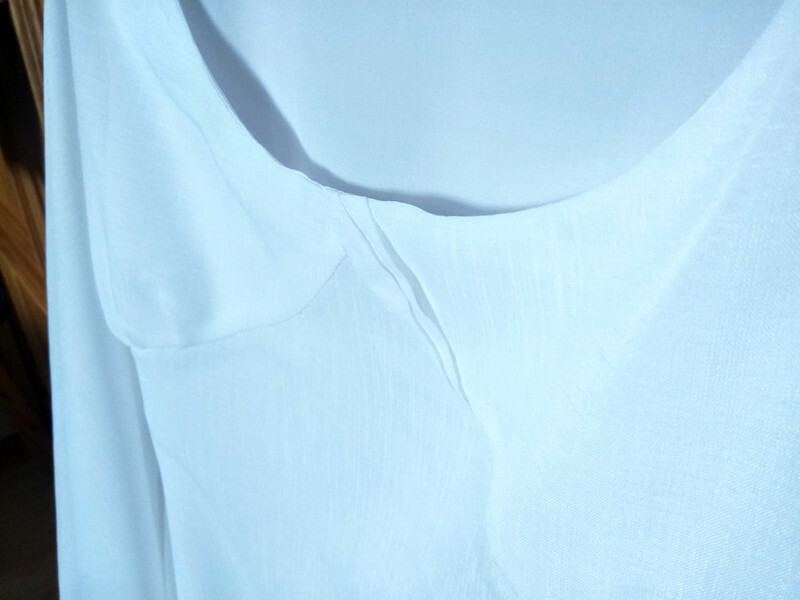 I'm not sure what you mean with the stitching line in the diagonal pleat so I'm leaving some close up picks here. 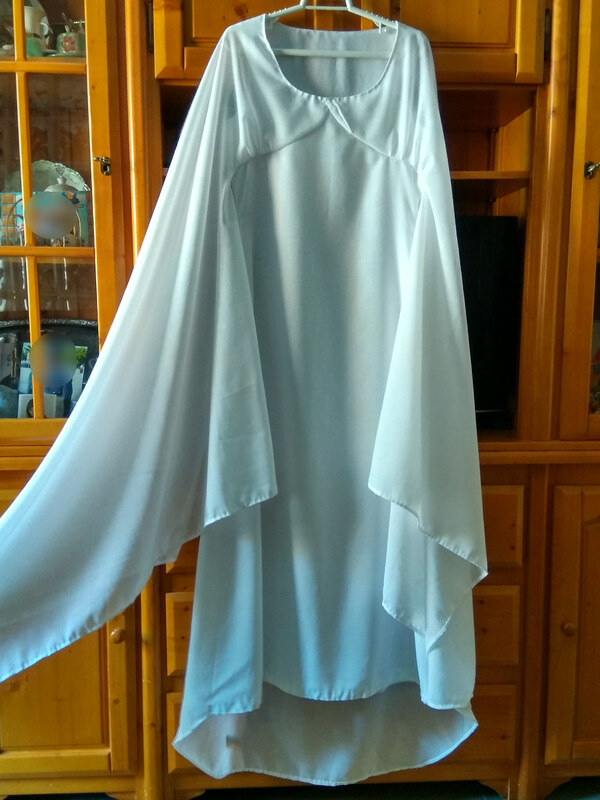 In the last pics it looked like it had stitching in the middle of it but it doesn't, it's just the fabric folding again, I'm not sure if what you mean is that, if it's not just tell me and I'll fix it. Thanks for your feedback and your patience! Ooh, I think I got it now. There's two folding lines, right? And the shadow of the first looks like the shadow stitching can cause. Any way you can smooth that out so you get a smooth transition from the right to the left with just the one fold from the tuck? Okay! 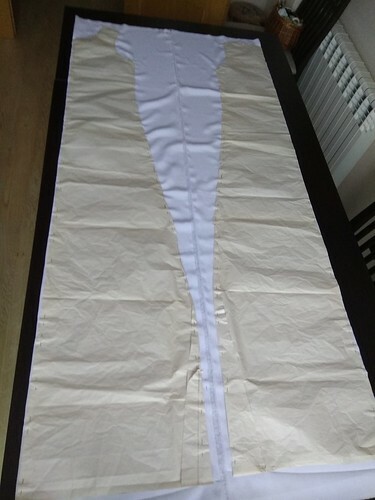 I'll see what I can do to remove one of the folds and make it look smoother, thank you very much again!